Buying local, as is the case last year, is more attractive to smartphone buyers in the Philippines, according to recent data emailed to Revü Philippines by market-research firm IDC. Cherry Mobile, not Samsung, remains the country’s market leader, accounting for 17 percent market share of the total smartphones shipped in the first half of 2015. Samsung holds the second spot with 14 percent market share, followed by MyPhone, CloudFone, and Lenovo at 6 percent, 5.2 percent, and 5.1 percent, respectively. The gap between Cherry Mobile and Samsung is closing, though: In 2014, Cherry Mobile owned a hefty 21.9 percent share of local shipments, while Samsung’s share saw an improvement from 13.3 percent a year earlier — which is the opposite of what’s happening overseas, where the Korean company fell to 21.4 percent from 24.8 percent, based on Q2 figures. Samsung’s slight resurgence may be related to a renewed focus on affordable smartphones with competitive specs like the sub-P10,000 Samsung Galaxy J5. The Philippines, after all, is a country where low-cost options outsell expensive ones by a staggering margin. Cherry Mobile remains the country’s market leader, with 17 percent market share of the total phones shipped in the 1st half of 2015. The IDC data also indicates that MyPhone and Lenovo saw their share dip, perhaps due to increasing pressure from global competitors like Xiaomi, Meizu, and OPPO. Apps: They effectively turn a smartphone into a powerful tool for human connection; they’re what make owning a smartphone so compelling and inevitable for many; they’re what make a smartphone, well, smart. Without apps, there’s little reason to buy an Apple iPhone 6s, or a Samsung Galaxy S6 edge+, or an OPPO R7 Plus, or what have you. But what do you do when an app you recently purchased from the Google Play store crashes, freezes, or won’t run on any Android device you own? If you’re among the millions of hoops fans who have been waiting to get some NBA action on their Android or iOS phone or tablet, I’m pleased to tell you that your long wait is over: NBA 2K16 is now available on Google Play and the App Store. To be clear, I’m talking about the mobile version of the popular basketball sim that was earlier released on PC and video-game consoles, not the boring virtual card game from 2K Games. NBA 2K16 for Android and iOS is out now on Google Play and the App Store. At P365, or $7.99, NBA 2K16 is one of the more expensive games for Android and iOS, but do take note that you’re paying for the full game, meaning you could play it to your heart’s content without paying another centavo to advance in any of the game’s modes. I definitely prefer that to freemium apps that have boatloads of ads and in-app purchases. Previously, I wrote a guide on how to manually update your first-gen Android One phone to Android 6.0 Marshmallow. Then I followed it up with a how-to on moving apps to your SD card, which is perhaps the best reason to upgrade to the newest Android version, assuming your device allows it. Go to Settings, then select Battery. Click on the 3 dots on the upper right-hand corner. Tap Battery optimization and then tap the downward-pointing arrow. Choose All apps and select the applications you want to optimize for efficiency. Swipe down twice from the status bar to pull down the Quick Settings menu. Press and hold the gear icon until it starts to spin fast. Head to the Settings menu and scroll down to the bottom of the page to access the System UI Tuner menu. Go to Settings and scroll down to System UI Tuner. Tap the toggle labeled Show embedded battery percentage. Navigate to Settings and then choose System UI Tuner. Choose Status bar and use the toggles to enable or disable icons in the status bar. Scroll all the way down to the bottom of the Settings menu, then hit System UI Tuner. Press and drag the icons to rearrange them. Long press the app you want to delete and drag it the trash bin labeled “Uninstall” on the upper right-hand corner of the screen. Open the Google Drive app, then swipe towards the right. Select Backup and reset under Auto backup for apps to change your backup settings. Long press the home button to bring up the Google Now on Tap interface. Press the 3 dots on the right-hand side of the screen and select Settings. Tap the Now on Tap toggle to turn it off. Go to Settings and hit Apps under the Device tab. Select the app you’d like to disable notifications for or set new permissions for. Tap either Notifications or Permissions to change the settings. Open the Settings app, then select About phone. Click on the Android version number several times. Long press the Android Marshmallow logo that appears on the screen a couple of times. Another long press will launch a Flappy Bird-type game, which is very similar to the one featured in Android Lollipop devices, except the visuals have been changed to match the new Android version. 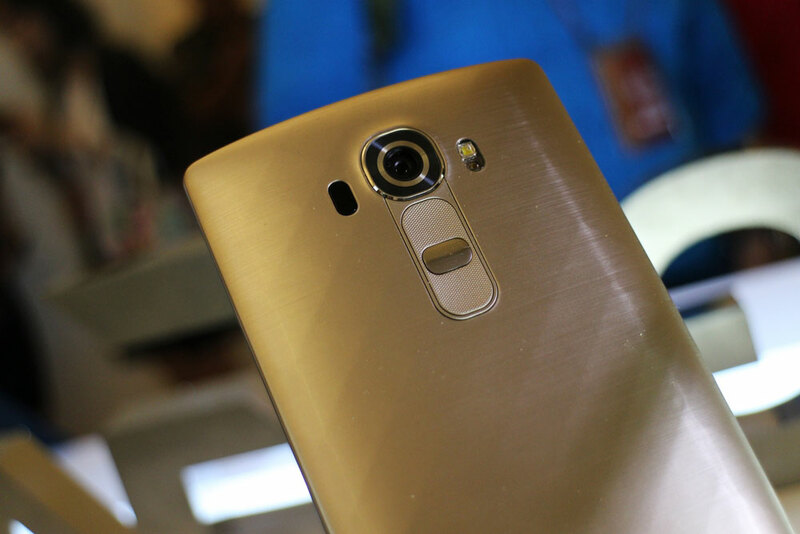 LG G4 owners are in for a marshmallowy treat soon, as the Korean manufacturer announced today that it will start pushing the Android 6.0 Marshmallow to its flagship smartphone next week, with users in Poland getting first dibs on the latest Android software. It seems LG likes the Poland market, for reasons beyond my understanding. LG has also published a list of upcoming features customers can expect from the OTA update, such as a Do Not Disturb mode, a battery-saving feature in Doze, as well as access to app permissions to allay privacy concerns. LG announced today that it will start pushing the Android 6.0 Marshmallow to its flagship smartphone next week. Other markets in Europe, Asia, and the Americas can expect the upgrade to be made available soon. If you’ve seen Jerrold Tarog’s historical drama Heneral Luna, you may be wondering: Which local film should I see next? Good question. Thankfully, there’s no shortage of amazing options on HOOQ, a subscription video-on-demand service that lets users watch local and Hollywood movies and TV shows on their phones or tablets for as little as P149 a month, or the equivalent of a tall Starbucks drink. Today’s list includes 10 local releases you may not have heard of, but really should watch. So happy viewing and don’t forget to sound off in the comments with your thoughts on the items included in this post. When Metanoia is thrown into chaos, Nico and his friends must muster all their courage to overcome doubt and save their beloved fantasy world. Don’t let the PG rating and 3D animation fool you; this film is so well-made for its time that even adults will find something interesting to keep an eye on. Katya Santos is a beautiful call-center employee who seeks to avenge her boyfriend’s death in this black comedy directed by Quark Henares. An insane man stalks a female radio DJ for making fun of him on air when he tried to dedicate a song for an office crush. Yam Laranas directs Jeffrey Quizon and Ruffa Mae Quinto in this thriller. Within days after settling into an apartment in an old, desolate building, Marvin (Richard Gutierrez) begins to question his sanity after bearing witness to supernatural events. Today’s list includes 10 local releases you may not have heard of, but really should watch. Set in a dystopian Philippine society in the year 2011, Hesus Mariano (Mark Anthony Fernandez) is caught in the middle of warring factions and must decide where his allegiances lie. It’s rare for a local film to take on a science-fiction theme, but it’s even rarer to find one with deft political and philosophical commentary. For that I tip my hat to director Lav Diaz and the cast. As the title suggests, the film tells the coming-of-age story of two young teens (Mark Anthony Fernandez and Spencer Reyes) who drive north to break from the mire of family dysfunction. It also has an amazing Eraserheads-headlined soundtrack that for many people — myself included — proved to be an introduction of sorts to alternative OPM music. Four highschool dropouts end up in over their heads and are left to face life on the streets. Jason Salcedo and Ryan Eigenmann star in this emotionally charged film from directors Peque Gallaga and Lore Reyes. Director Joel Lamangan weaves an intricate tale of family drama involving three strong-willed sisters (Alice Dixson, Donna Cruz, Agot Isidro) who share the same father but different mothers. A 47-year-old resident of Quezon City was arrested by local police on criminal charges of estafa and falsification of documents leading to the acquisition of 63 high-end smartphones from Globe stores and a projected fraud loss of P2.4 million, Globe Telecom said in a press statement. John Michael Cruz was nabbed by authorities in an entrapment operation after submitting additional requirements for cellular plans that would have netted him 3 units of iPhone 6 Plus. Cruz has used various aliases in previous applications and has declared himself the owner and marketing manager of CJMD Trading, LMDJ Garments Manufacturing, DMJJ Manufacturing and Iron Force Builders Corporation. A man was arrested by police on criminal charges leading to the acquisition of 63 high-end smartphones from Globe stores and a fraud loss of P2.4M. Recently, a fraudster in Cabanatuan City who illegally acquired and sold modified Globe Tattoo LTE modems was arrested during a buy-bust operation conducted by police operatives and Globe’s security team. A couple of days ago, I sat down with Cedric Chang, a MediaTek account manager assigned to the Philippines, to shed light on a few burning questions that consumers may want answered about the Taiwan-based company’s main business of selling chipsets. Chipsets that, mind you, power a good majority of Android devices on offer not only in the Philippines but in other parts of Asia, including China and India. 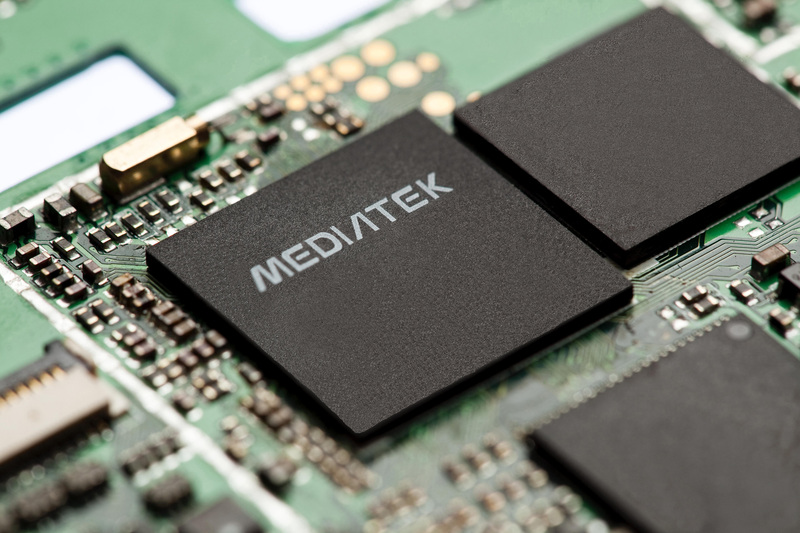 The company rep explained why MediaTek-based phones are generally more affordable than the competition; and it’s not because MediaTek makes the cheapest silicon out there — though they are priced lower than their Qualcomm counterparts. What’s the reason for the killer price point? It’s simple: A flood of ODMs competing to give the best price. There’s a glut of chip makers in China that undercut big names and lure customers in with rock-bottom prices, Chang revealed to me. So what’s the reason for the killer price point? It’s simple, actually: A flood of ODMs [original device manufacturers] — or companies that design and manufacturer devices for other companies to sell — struggling to achieve a foothold in a ruthless industry and competing to give the best price. As of 2015, there are 1,294 Android device brands out there, according to a report released by OpenSignal, based on data collated from 682,000 devices. That figure is expected to increase next year so you can just imagine how cutthroat the competition can be, especially among MediaTek’s customers. “We cater to more ODMs [than the competition]. And when there are over 100 ODMs that can provide phones with MediaTek chips inside, they really have to compete with each other to win over customers,” Chang said. By contrast, the number of phones that run on competing chipsets, such as those from Qualcomm and Intel, is far fewer so there’s less pressure on manufacturers to keep their prices down. There you go, straight from the horse’s mouth; well, actually Chang’s mouth. Surprised? You’re not the only one. Now, as to when or if your phone will be updated to Android Lollipop, he obviously has no idea what to tell you, though he did point out that ODMs are largely to blame for the delay or lack of software updates in the Android community. Many manufacturers, I’m told, for whatever reason or reasons, believe that it makes more business sense to spend the meager resources they have on next-gen devices than to utilize them to support ageing hardware. He makes a sound case, but I think that the reasons for the failures and disappointments are a lot more complicated than meets the eye. Certainly, it would be unfair to pin the blame solely on the likes of Cherry Mobile and Starmobile that come under flak for not updating their phones in a timely manner, if at all. One of the best reasons — and believe me, there are many — for upgrading your first-gen Android One phone to Android 6.0 Marshmallow today is simply to gain the ability to migrate your apps and files, such as your photos and videos, to a microSD card. Amid a busy quarter of phone launches, Cherry Mobile took the wraps off 3 new additions to its Flare series, baring what I had earlier suspected: an upscale take on the company’s most popular line of Android devices. And about time, too! The Flare 4, S4, and S4 Plus are now official, and they look nothing like their predecessors — and I mean that in the most flattering way. They’re quite a looker, I guess, is what I’m trying to say. Which is great, because Cherry Mobile’s Flare handsets have never been known for their looks and design quirks. Until today, obviously. I mean, look at these handsets–these are arguably 3 of the best-looking devices Cherry Mobile has put out. Ever. Look at those sheets of curved-edge glass and the metal-and-plastic bodies they’re attached to. Look at those wraparound frames with iPhone-like chamfered edges. If you’ve never owned a Flare phone, and you’re thinking about picking one up, I’m telling you: There’s no better time than now. Cherry Mobile has indeed doubled down on aesthetics while somehow keeping a low price tag for the new models (more on this later). And as is customary with the Flare variations, the Flare 4, S4, and S4 Plus are loaded with fairly powerful specs that mirror those in the Meizu M2 Note and Alcatel Flash 2: 1.3GHz 64-bit, octa-core processor built by MediaTek, Mali-T720 GPU, and at least 2GB of RAM. The phones run mostly stock Android 5.1 Lollipop with a few minor changes. Both the Cherry Mobile Flare 4 and S4 are priced at P4,999, while the slightly larger and slightly more capable Flare S4 Plus will sell for P7,999. All 3 phones will hit stores at the end of October. If you’ve never owned a Flare handset or had the opportunity to test one, and you’re thinking about picking one up, I’m telling you: There’s no better time than now.